The planet of Batuu is about to have the bejesus canonized out of it. Not satisfied with the kind of absurdity that is Star Wars: The Theme Park: The Comic Book Miniseries, the official Star Wars website has just lifted the lid on tons of new tie-in material designed to expand the storytelling behind Galaxy’s Edge, the upcoming Star Wars world set to open at Disney parks in the U.S. this year. 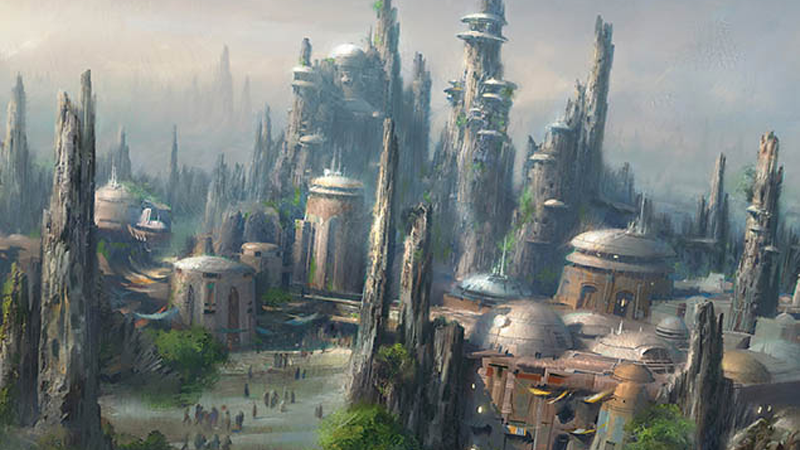 We already got to see a bit of this last year, when the second Thrawn book in Disney’s sprawling Star Wars canon-refresh, Alliances, took both the titular Chiss and his uneasy ally Anakin Skywalker/Darth Vader to the Black Spire Outpost on Batuu, which will serve as the environment Galaxy’s Edge is set in. But now Lucasfilm is going all-in...and we really, really mean all-in. Non-final cover art for the two prequel novels about Galaxy’s Edge. Beyond the previously revealed Marvel Comics miniseries, there’s going to be Black Spire, a novel from Phasma scribe Delilah S. Dawson that is described as “a prequel to the Disney Parks experience,” coming in September. There’s then Crash of Fate, a young-adult novel about a young girl returning to Batuu after getting in trouble with some seedy smugglers, sending her on a collision course with the former best friend she left behind on the world. Then there’s a separate kids-focused comic joining IDW’s range of young-reader comics in Star Wars: Adventures that’s all about life in Black Spire Outpost. And if that wasn’t enough? There’s even a cookbook coming, covering both general Star Wars-inspired recipes and ones directly inspired by the sort of food and drinks you’ll be able to purchase at the “real” Galaxy’s Edge. Or make yourself if you don’t end up going because you spent all your vacation money on Galaxy’s Edge tie-in reading! 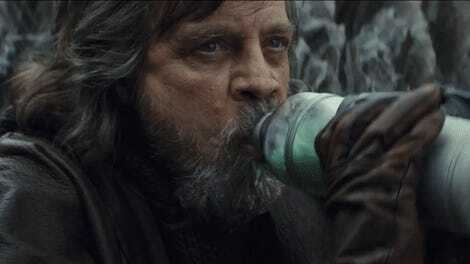 Look, this is not a new thing for Star Wars; in the Disney era, now that movie releases happen on a regular basis, we’ve had waves of tie-in fiction and non-fiction crop up to drip-feed us enticing new canon about places and people we’d be witnessing on the big screen. But I think the added layer here, that this is in service of maybe eventually making a trip to Disney World and/or Disneyland to check out a theme park area, makes the absurdity of it all little more stark. But that doesn’t mean these books won’t have value beyond their tie-in to Galaxy’s Edge—after all, for a lot of Star Wars fans, books like these are going to be the only way they’ll actually get to experience some of the fiction around Batuu, given that Galaxy’s Edge will only be available at Disney resorts in the U.S. (on top of that, a trip to Disney can be pretty expensive even if you live close by!). Making the world more accessible to the people who can’t hop on over to Disney World for a bit of Star Wars fun is a welcome thing. Myths & Fables is easily the most intriguing new announcement. Plus, just look at that gorgeous cover! All of the announcements today were so keenly focused on those ties—but in fact, the most intriguing book revealed was George Mann’s Star Wars: Myths and Fables. It has some Batuu-related material in it, but is mostly about presenting a more fantastic-lens on the Star Wars galaxy, re-imagining folklore and mythological stories about the more sci-fantasy-leaning corners of Star Wars as new fables. It’s a cool idea that just so happens to have some minor ties into Galaxy’s Edge as a bonus. It’d be nice if there were more books on the way like that. Given that it’s Star Wars and the expanded universe train cannot and will not stop, at least there stands a very good chance of that being the case.